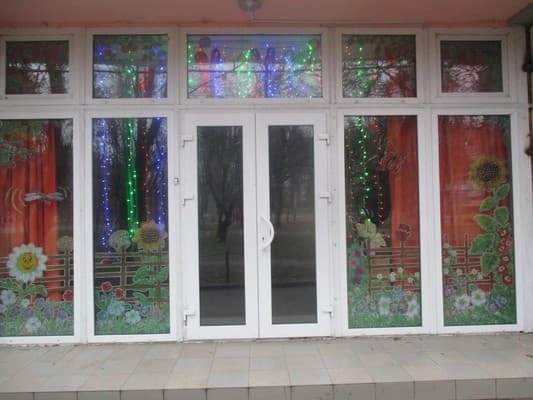 Hostel "The first hostel in Cherkassy" is located in the Southwest region of Cherkassy. 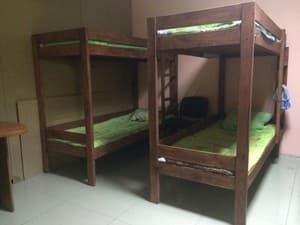 It offers a comfortable 7-bed room with comfortable bunk beds. Shared kitchenette with a microwave, kettle and utensils. There is a lounge, where possible the use of wired internet. In the hostel for free, upon request of guests, an iron and hair dryer. For an additional fee can take advantage of living hairdresser. 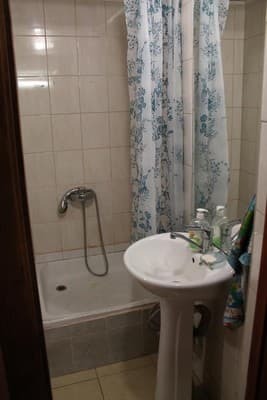 On-site "the first hostel in Cherkassy" there is a paid parking lot. 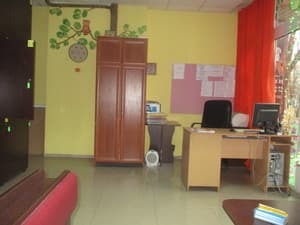 In walking distance there are supermarkets, shops, cafes, shopping center, sports club, bank and pharmacy. The nearest public transport stop "shopping center" of 180 m, the central area of ​​the "Cathedral" is located at a distance of 6 km. Up w / railway station 3.7 km, 3.4 km to the bus station. 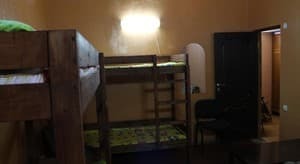 Description of the room: A shared multi-bed room with bunk beds, chairs and a table. ATTENTION: CHILDREN UNDER 10 YEARS DO NOT VISIT. 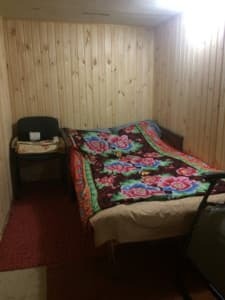 Description of the room: In the room there is a sofa bed. ATTENTION: CHILDREN UNDER 10 YEARS DO NOT SET. Приезжал ночью, встретили, пукойровели, все показали. Понравилось что камеру храненения разрешили использовать сколько нужно) Белье свежее и приятно пахнет) Все под рукой) Любителям эконом путешествоий рекомендую. Был пустой хостел, приятный администратор. Нормальный адекватный администратор, приемлемая цена, расположение от центра в 10 минутах на маршрутке. Есть нюансы, но за эти деньги вполне себе сносно. 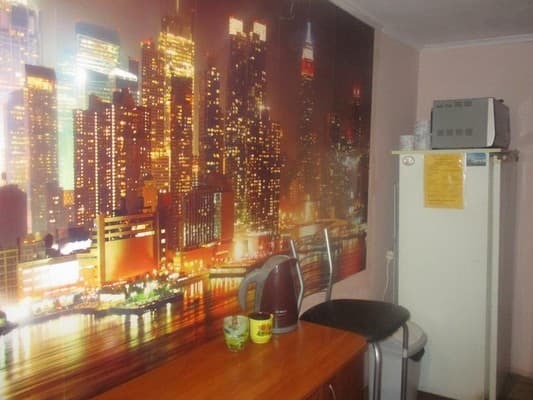 In the hostel there is a mini - kitchen for cooking, near supermarkets, shops and cafes. 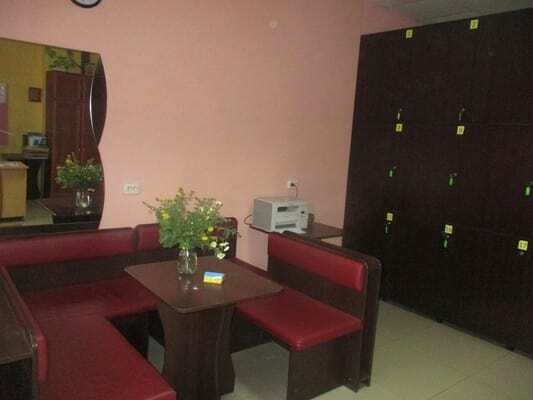 Hostel "The first hostel in Cherkassy" is located in the Southwest region of Cherkassy. The nearest public transport stop "shopping center" of 180 m, the central area of ​​the "Cathedral" is located at a distance of 6 km. Up w / railway station 3.7 km, 3.4 km to the bus station. From the bus station can be reached by taxi №6 with w / Station taxi №25 to the stop "shopping center".